Hi, I'm Bernie Jakits. After 20 years of owning and running a successful brokerage in Annapolis, my partner Kate Christensen and I have merged our company with David Walters Yachts. We are happy and excited to be a part of something bigger and continue to live our passion that started long ago. When I was an engineer in the aerospace industry I had lots of time to read every sailboat review and follow every development in the industry. 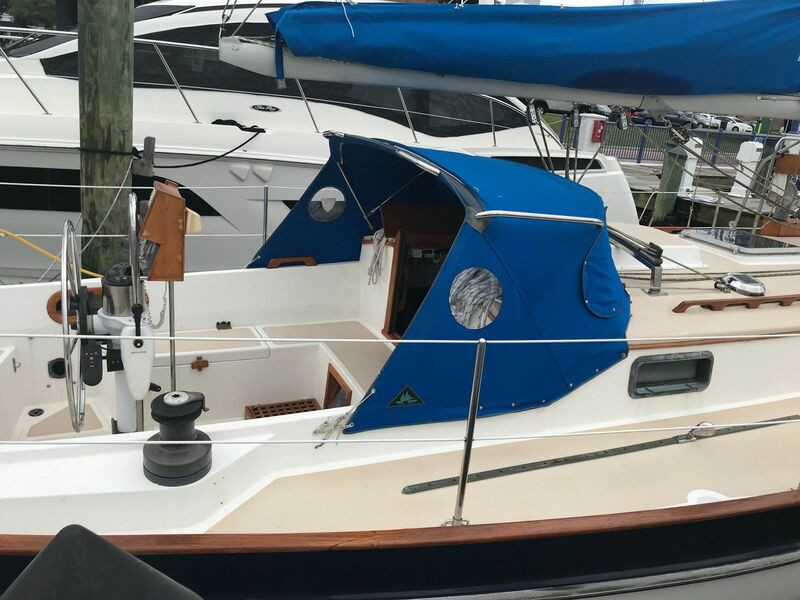 I dreamed of one day owning a distinctly different brokerage firm and it all came true when in 1997 I started RogueWave Yacht Sales It came out of a passion for the sea and love for the beautiful vessels that sail on her. My vision was to create a new kind of brokerage dedicated to honesty and integrity and desire to help people be successful and achieve their bluewater sailing vision. Kate Christensen joined me in 2001 to share that vision and bring her talents and expertise in business and marketing as well as her passion for sailing her Bristol Channel Cutter. Over 20 years, we built an incredible brokerage and consulting firm specializing in ocean going vessels and live aboard cruising sailboats. We have advised and guided over 800 Clients worldwide from as far away as Hong Kong, Brazil, Australia, Europe and everywhere between, so that they too can also achieve their dream of owning and cruising with a capable bluewater vessel to find and reach their own horizons. We have the experience and expertise required to really help people. For over 45 years, I have sailed, delivered and worked on hundreds of different types of vessels. Representing many clients, I have sailed in the North Sea to Med, across the Atlantic, and in the South China Sea and the, Pacific, the Caribbean Islands and also both Coasts of the USA. 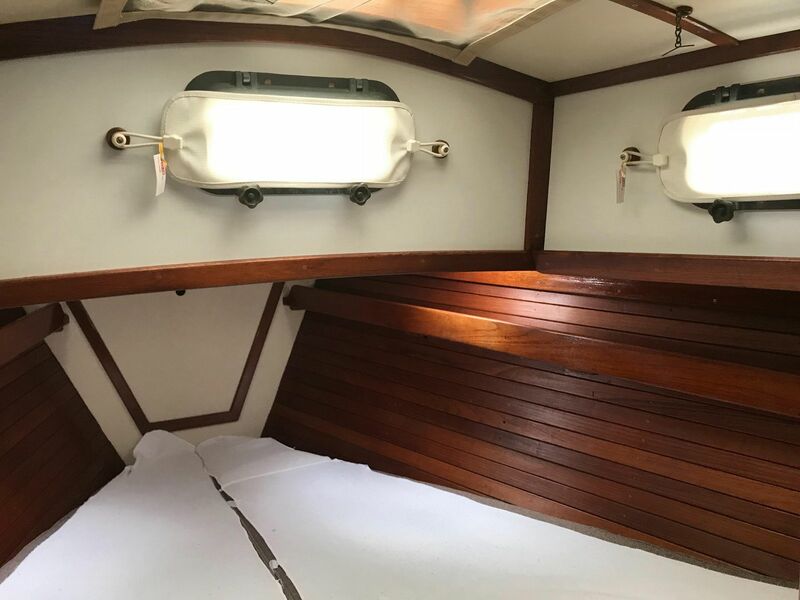 Having owned and maintained over 3 million dollars worth of sailing vessels, I have vast experience with incredible sailing vessels from the Hallberg Rassy 53 or a Valiant 40 & 42, a Norseman 447, a PSC34, and a BCC28. I've sailed to many foreign ports and also lived aboard while raising a family. 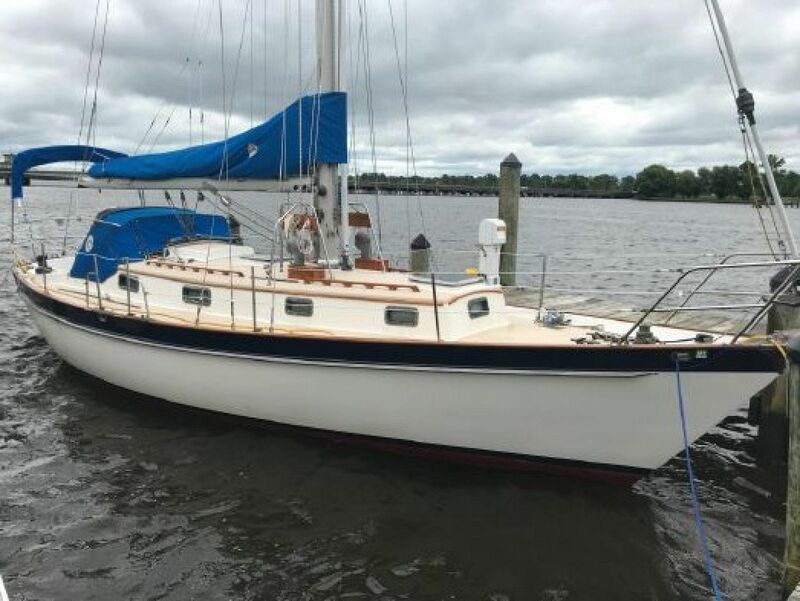 Kate and I have had the opportunity to have incredible sailing adventures aboard our boats from the amazing Bristol Channel Cutter to the Hallberg Rassy 53 and finally our Valiant 42 that we built new in 2008 when we were Valiant Dealers in Annapolis. We have sailed far and lived aboard; we have led the Caribbean 1500 to the Bahamas. We have raced to Bermuda. 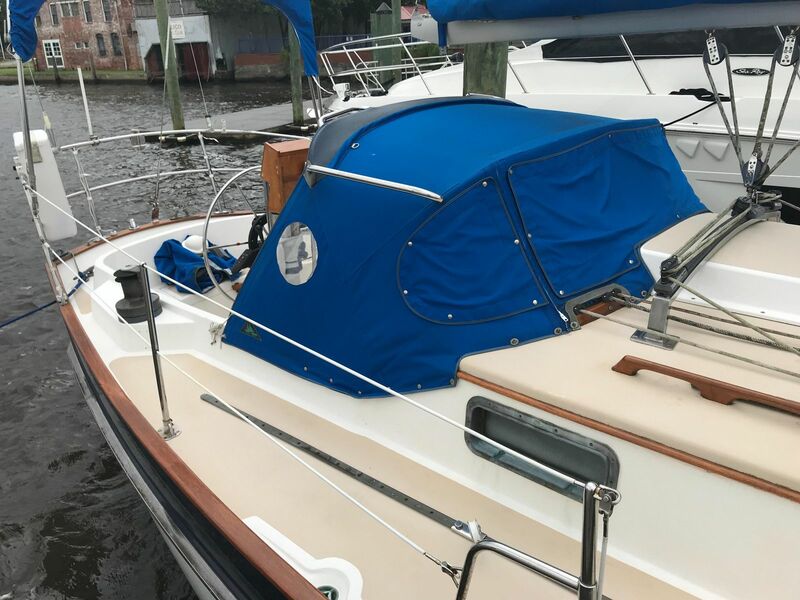 We have delivered boats from the North Sea to the Med and from Guatemala to Annapolis and of course from the Caribbean to Annapolis many times. Through that experience we can help cruising couples make the right decisions. I have decommissioned and shipped many vessels and put them back together again, for myself and also for our clients. 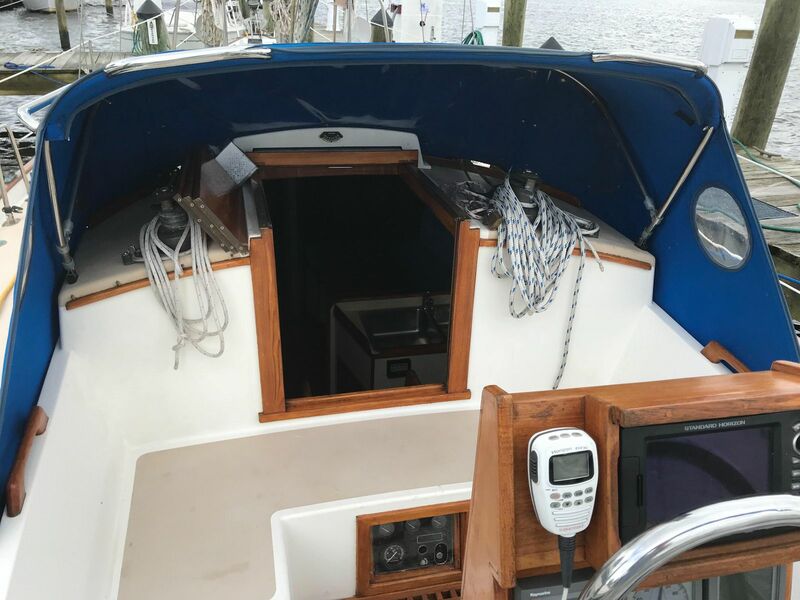 I have upgraded each vessel we owned installing every system imaginable, and maintaining every boat properly. I have taught and advised clients so that they themselves will have a pleasant and rewarding experience. 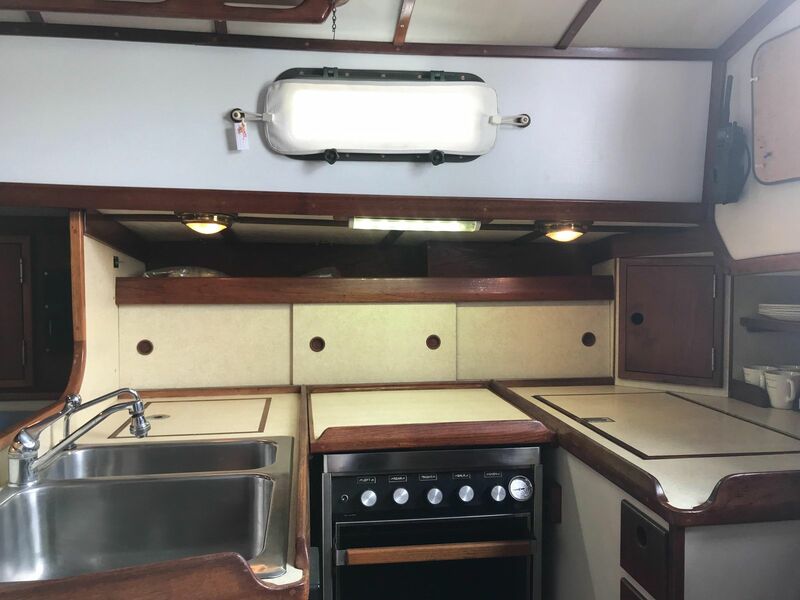 Being a fellow boat owner and having personally experienced both sides of being a buyer and a seller, I understand your concerns. With these many years of experience I have come to know and appreciate what a truly high caliber blue water sailing yachts is and should be. As a licensed & bonded professional yacht broker, please give me the pleasure of helping you define your requirements and help choose your next passage making/offshore capable sailing or power yacht. My experience is gained from having had a 100 Ton USCG Master License, being a Captain on several ocean races, having been a Marine Surveyor, and of course my background as an MSME Mechanical Engineer. And most important of all, I have sailed over 100,000 offshore miles, on my own boats and delivering countless boats for client to about everywhere. Now as the RogueWave Division of David Walters Yachts, Kate and I carry on the RogueWave traditions as Your Choice for Bluewater Boats! We continue to specialize in the bluewater boats we love; the vessels of quality, style, and substance. We are skilled in understanding the unique requirements of each individual to find them the right boat. Our mantra of Honesty, Integrity, Love for our Ocean, and Appreciation for the Beautiful Vessels that Sail on Her, remain the passions that we share with all of you. Sailing isn't a hobby to us, it's a lifestyle. And we remain your choice for bluewater boats. We are very proud to be part of the unique and talented team of David Walters Yachts as the RogueWave Division in Annapolis MD the sailing capitol of the world. Please feel to reach out to me, anytime, bernie@dwyca.net. I'm always available 24/7 on my cell 443-742-1792. SALTY SPOUSE is a Chuck Paine Morris 36 "Justine" is just about one of the sweetest most perfect boats there are and this particular Justine, we know well. Sometimes the bigger is not any better, for in today’s society, everything in America is “super size me”, if it’s houses/cars/food serving/boats and even people themselves. Quality over quantity. 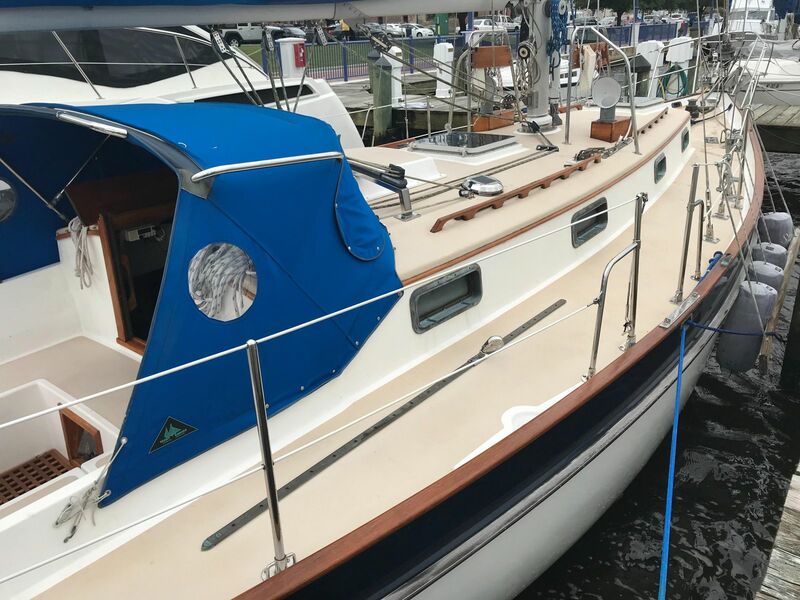 The Morris 36 is one of those boats that are perfectly balanced aesthetically and it is also a wonderful fantastic powerful sailboat. The design blends function and beauty everywhere. While she looks absolutely perfect in a delicate artistic way, but boy is she tough. 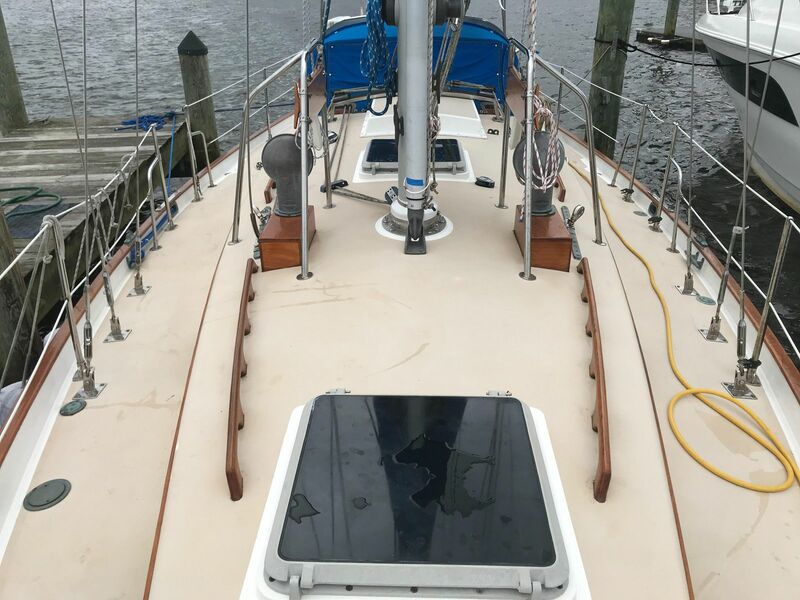 With her tall rig, her Chuck Paine unique "shoal draft" sort of blub keel and skeg rudder, an incredible well balanced sheer line with just the right amount of overhangs, she's a great sailing boat that tracks straight and responds eagerly. 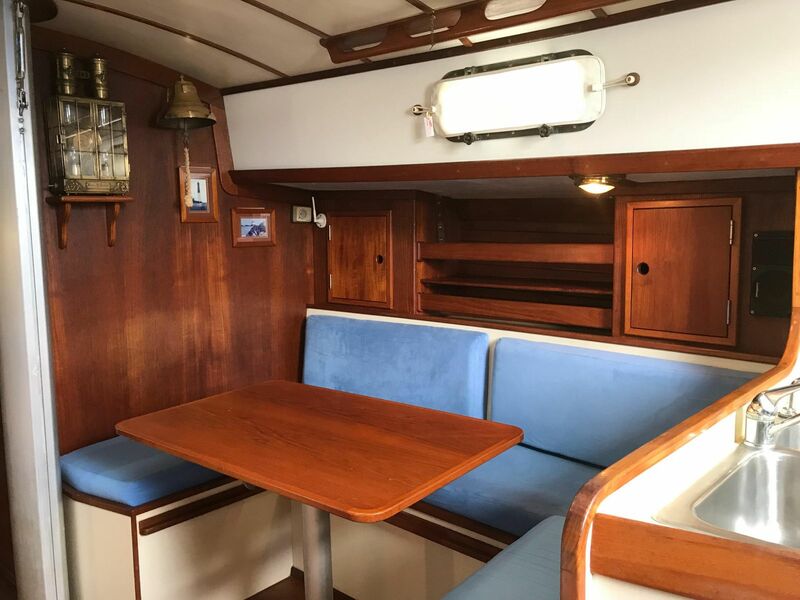 You'll appreciate everything about the Morris Justine from her perfect lovely lines to her well thought out interior, and most of all the way she sails. You don't have to sacrifice performance. You'll sail a lot more of the time on this boat, if it’s only an evening sail or a trip to Bermuda. She has a wonderful motion and a driving stamina. 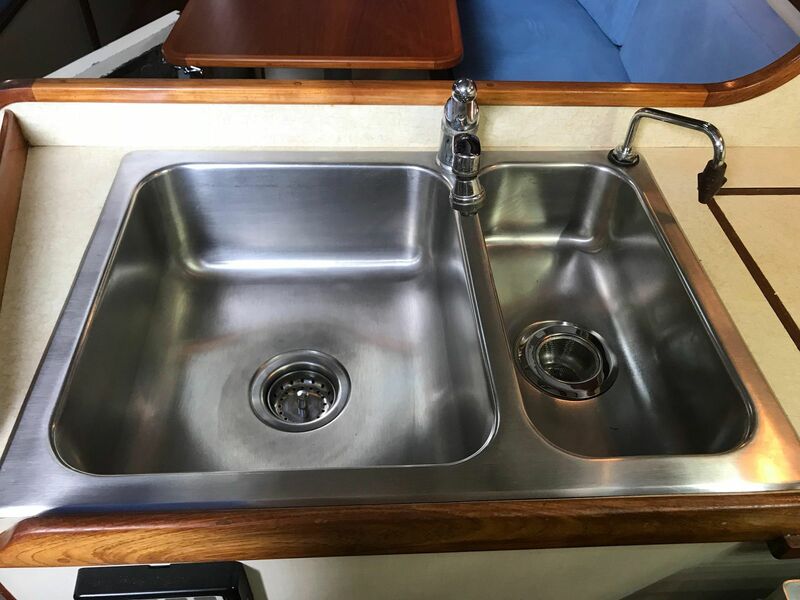 Everything works on this boat, in a perfect balance from design to construction/build by the master skilled boat builders that only the Team at Morris Yachts can offer and execute. Our listing is a 1990 one owner, original owner Morris 36 Justine. She just spent last winter at the Washington, North Carolina Pacific Seacraft Yard getting the care that a yacht like this should receive. Her extremely knowledgeable and generous owners cared for her properly and gave her what she needed and wanted. Her bottom was just soda blasted and new barrier coat with fresh bottom paint was just applied. All thru-hulls were serviced, and her diesel just also got a full service with new hoses, belts, etc. She is ready for her next adventures, she is truly turnkey. You will see that Salty Spouse is an exceptional example of a fine blue water vessel. Her original only owner with his Wife sailed far and outfitted her properly with great equipment and spares for everything. 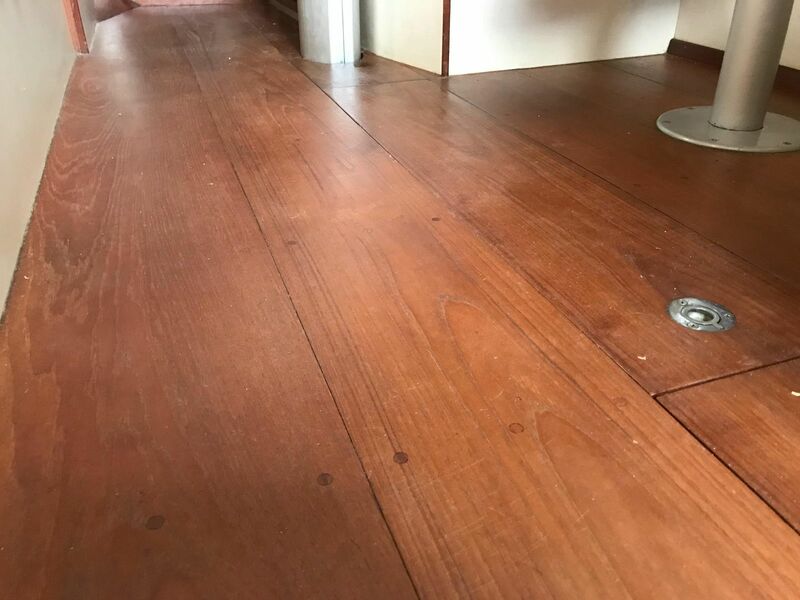 There are many custom touches that are well thought out and which really work! She was used well and maintained with safety and security foremost in mind. 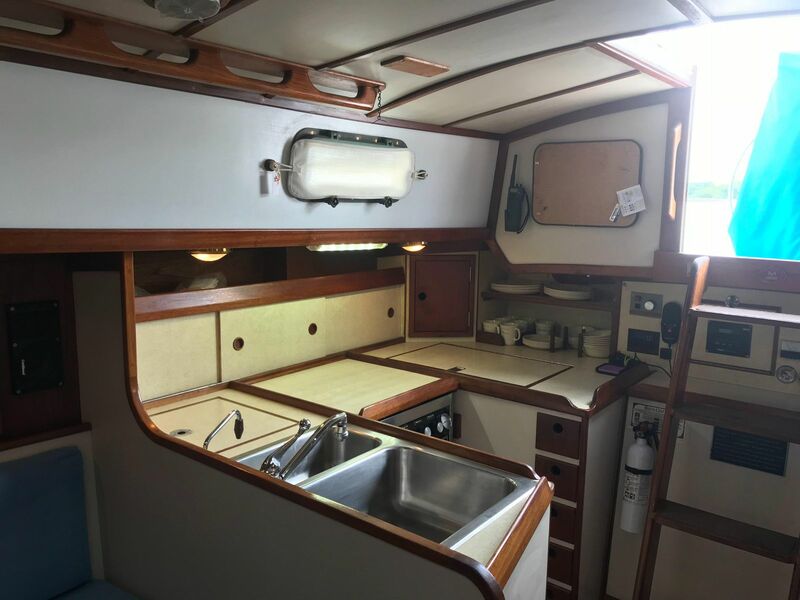 If you are looking for a special boat that you can really fall in love with, you owe it to yourself to give Salty Spouse your consideration. She's sweet. We love this boat. If you want a gorgeous, great sailing yacht to sail the Chesapeake and beyond, you will love her. If you want to sail farther, you'll find she is willing and able. We always have people tell us they will mostly sail the Bay or Coastal, but they want a real boat that can take them far if they choose to go! This Morris is as real as it gets.